The noise emission of airplanes at take-off and in landing around airports is increasingly a concern for industry and government research and is a deterrent to the development of supersonic commercial flight. The noise generated by the high velocity, turbulent exhaust of jet engines continues to be part of the total aircraft noise. NASA’s long term goals have proposed a dramatic reduction in aircraft noise emissions, ensuring the continuing growth of the air transportation system. 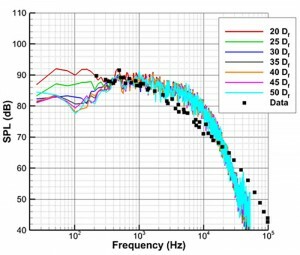 As high-performance supercomputers becoming increasingly powerful, greater emphasis is being placed on the use of high-fidelity computational models such as Direct Numerical Simulation (DNS) and Large Eddy Simulation (LES) for performing jet noise predictions and as design optimization tools for noise reduction. To date, the majority of numerical validation and predictive undertakings have focused on isolated nozzle configurations. These have ignored the installation effects that arise from engine/aircraft integration which can significantly impact the jet flowfield and far-field noise. Also, many designs of future aircraft, such as NASA and Boeing’s X-48 experimental aircraft, place the engine above the jet body. This can result in significant noise reduction experienced by observers on the ground due to shielding effects; however, the presence of the airframe near the engine exhaust alters the jet plume and also generates its own source of noise. Two numerical studies relevant to these issues were performed and compared with experimental data produced by NASA: (i) subsonic turbulent flow simulation and noise prediction from a pylon-mounted dual stream nozzle and (ii) the effect of a jet-surface interaction (JSI) upon the supersonic jet flows and noise reduction. The pylon-mounted dual stream nozzle simulations are based on experimental work being performed using the Jet Engine Simulator (JES) today. The jet surface interaction studies using a finite surface placed at different locations parallel to a supersonic jet were also conducted. 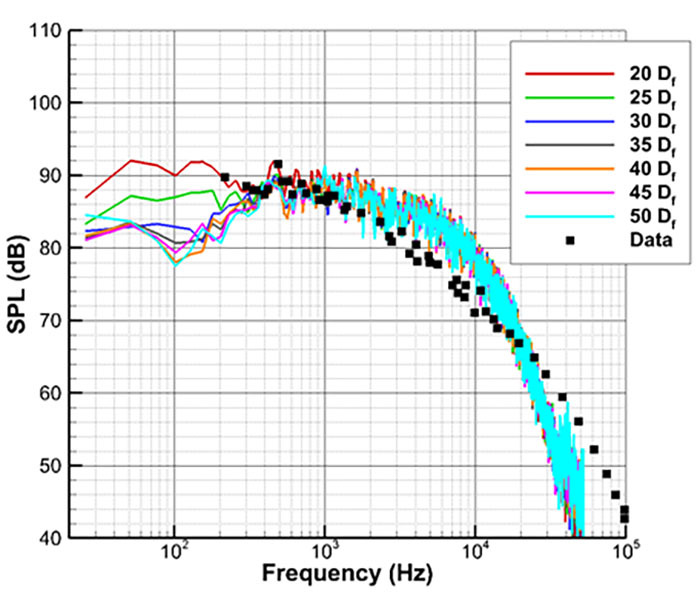 Noise predictions achieved good agreement with the experimental data and showed a large shielding effect in high frequency noise for observers located below the plate and upstream of the jet nozzle for an over-expanded jet. 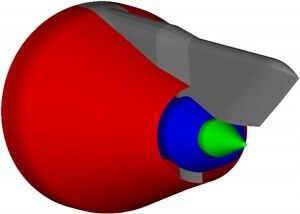 This shielding effect was decreased for an ideally-expanded jet and minimal for an under-expanded jet, likely due to the increasing potential core length as the nozzle pressure ratio was increased. Correspondingly, an increase in low frequency noise was seen due to JSI effects with the greatest increase being observed for the over-expanded jet and the smallest increase for the under-expanded jet. Lastly, the location of the plate was seen to have only a small effect on the shielding of high frequency noise, but resulted in a smaller increase in low frequency noise as it was moved further away from the jet.